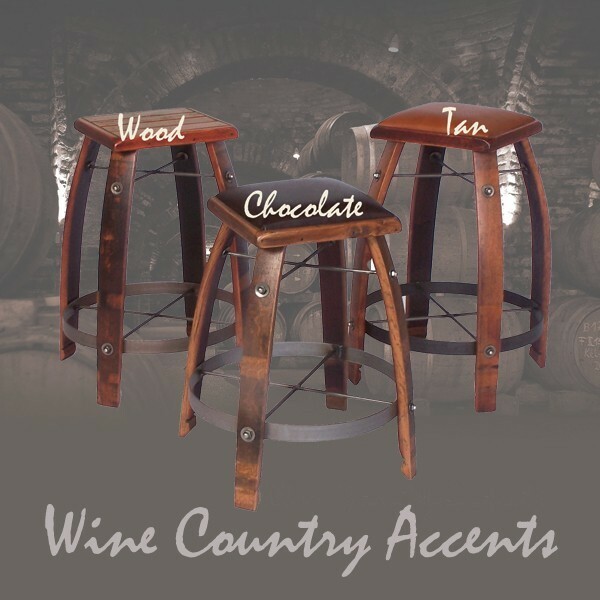 2-Day Designs Wine Barrel Stave Bar Stools are available with Tan, Chocolate or Black Leather Tops or a durable Wood top. These Wine Barrel Bar Stools with wood or leather seats will stand the test of time. 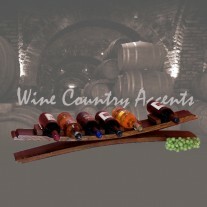 Recycled Wine Barrel staves from actual OAK wine casks form the legs, reinforced with hand-forged wrought iron braces. 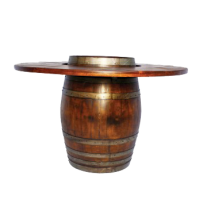 A barrel-hoop foot rail adds to the realism. 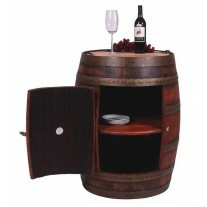 This Wine Barrel Stool has a wood or a selection of leather seats which adds to is rustic appeal and natural beauty. 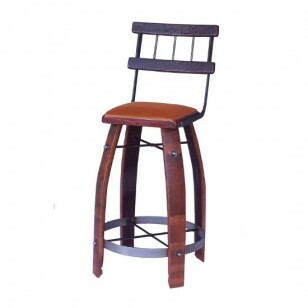 2-Day Designs furniture are proud manufacturers of unique home furnishings. 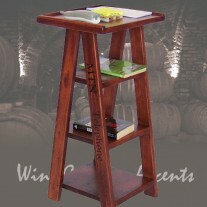 For those looking for a little something different, browse our collections and you'll certainly find it! From dining tables & chairs, occasional tables, hutches & cupboards, keepsake boxes & trunks, you're sure to fall in love with something from one our many collections. 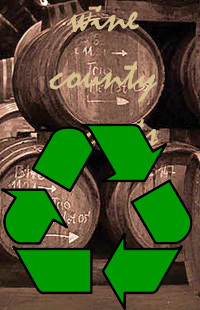 Environmentally conscious, we use recycled, antique lumber whenever possible. 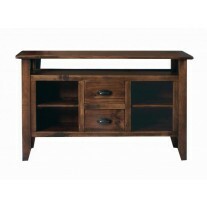 Our designs will make a statement in any room of your home. 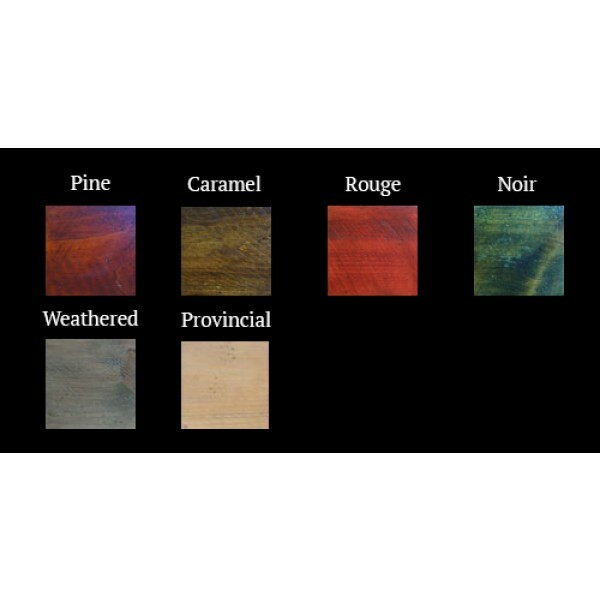 All 2-Day Designs pieces are crafted with the highest quality standards from start to finish. 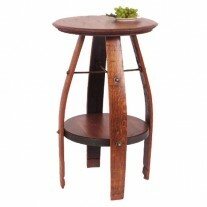 Environmentally conscious, 2-Day Designs uses recycled, antique lumber whenever possible. 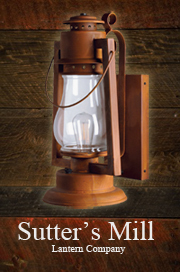 All 2-Day Designs pieces are crafted with the highest quality standards from start to finish.